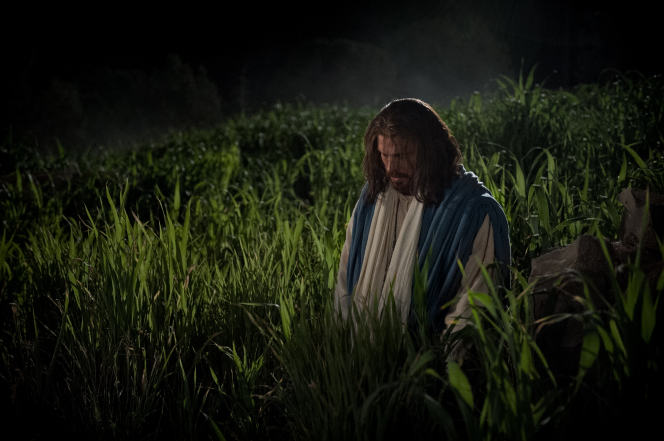 As Latter-day Saints, we believe that what happened in Gethsemane was essential to the Atonement of Jesus Christ. As True to the Faith explains, “Jesus’s atoning sacrifice took place in the Garden of Gethsemane and on the cross at Calvary. In Gethsemane He submitted to the will of the Father and began to take upon Himself the sins of all people … The Savior continued to suffer for our sins when He allowed Himself to be crucified—‘lifted up upon the cross and slain for the sins of the world’ (1 Nephi 11:33).” (True to the Faith: Atonement). It was in Gethsemane that Christ began His Atonement and it was on the cross that he completed his suffering as “all the infinite agonies and merciless pains of Gethsemane recurred” (McConkie, Ensign May 1985). Truly, it was a “perfect atonement” wrought out “through the shedding of his own blood” in both Gethsemane and on the cross (D&C 76:69). When sharing these beliefs with other Christians, many Latter-day Saints are surprised to find out that our belief in the role of Gethsemane is not a common belief shared with most other Christians. Typically, they believe the Atonement of Christ took place exclusively on the cross and that the events in Gethsemane were just in prayerful preparation and anticipation for that suffering. Even more surprising is the fact that a key scriptural passage supporting our view of Gethsemane has been removed by many modern translations of the Bible. What happened to cause this plain and precious truth to be lost and what we can learn from it is an important topic for Latter-day Saints to consider. After Christ’s earnest prayer to have the bitter cup of His atoning suffering removed and his expressed submission to do the will of the Father, Luke records these words, “And there appeared an angel unto him from heaven, strengthening him. And being in an agony he prayed more earnestly: and his sweat was as it were great drops of blood falling down to the ground” (Luke 22:43-44). Latter-day Saints recognize these simple words as doctrinally important because they describe the suffering that Christ endured for our sins in Gethsemane. Unfortunately though, for years these two verses have been disputed by scholars because they are not found in some of the early manuscripts of the Bible. Many have assumed that this meant they were added as “interpolations” to the original text and many modern Bible translations have left out this passage or put it in brackets to identify it as questionable. More recent scholarship, however, proposes the opposite explanation. It suggests that these verses were actually deliberately removed from the text. Some of the evidence for this is that the passage is found in the earliest extant fragment of Luke, it was known by many of the early Christian writers of the second century, and it does not begin to disappear from the text until later in the third and fourth centuries (L. H. Blumell, “Luke 22:43-44: An-Anti-Docetic Interpolation or an Apologetic Omission?”, TC: A Journal of Biblical Textual Criticism 19 (2014):1-35.). There are several reasons why well-intentioned but misinformed men would seek to remove this passage in early Christian history. One reason is that this passage was a favorite of early Anti-Christians who mocked the idea that a divine being would be weak enough to suffer and ask for help. Many early Christians may have been embarrassed by this attack and found it easier to remove the passage rather than defend or explain it to critics (L. H. Blumell, “Luke 22:43-44: An-Anti-Docetic Interpolation or an Apologetic Omission?”, TC: A Journal of Biblical Textual Criticism 19 (2014):1-35). Another compelling reason some might have removed it is that Christ’s suffering seemed to contradict ideas from the Nicene creed about Christ’s humanity and capacity to truly experience mortal suffering and temptation. The best evidence for this happening is that one early Christian literally witnessed it and wrote about it! He reported that “orthodox” supporters of the Nicene Creed were removing verses from the Bible and specifically listed Luke 22:43-44 as among those verses. He described that they “being afraid and not understanding the meaning and power of the passage [Luke 22:43-44], have expunged it” (Epiphanius, Firmly Anchored One, in Holl, Epiphanius, 31.4-5; see Lincoln H. Blumell, “Rereading the Council of Nicaea and its Creed”,” in Miranda Wilcox and John Young (eds. ), Standing Apart: Mormon Historical Consciousness and the Concept of Apostasy. Oxford: Oxford University Press, 2014, 191–212). Fortunately, the passage remained in enough manuscripts that it was not completely erased and survived to the modern era. But even with the passage included in many Bibles, because of diminished support and misunderstanding of its significance, it has often been interpreted as figurative and downplayed as just referring to Christ sweating profusely in anticipation for the suffering on the cross. The full weight of what took place in Gethsemane was largely lost from Christianity. The loss or removal of important doctrine from the Bible is not surprising for Latter-day Saints. Nephi reported in vision seeing that “many plain and precious things … have been taken out of the book, which were plain unto the understanding” and that this textual tampering has caused many to stumble (1 Nephi 13:29). The story of Luke 22 helps us better understand how this tampering may have taken place. Often it was deliberate and intentional not accidental or indiscriminate. It was also not necessarily done with malicious intent but at least some tampering was done by “orthodox” Christians who were sincerely trying to “improve” the text based on their misunderstandings or to defend the text from the attacks of critics. However well-intended and sincere they may have been, such tampering with the word of God still had lasting consequences on our ability to understand and interpret the Bible correctly (see JS-H 1:9-12). What happened with Luke 22 also helps us better understand what Joseph Smith meant when he proclaimed that “we believe the Bible as far as it is translated correctly” (A of F 1:8). Often we read the word “translated” and think only of the process of changing one language to another, but this account makes it clear that a bigger problem in translation was the transmission and interpretation of text. 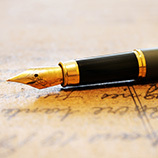 The best translators in the world can’t translate words if they are no longer in the text and the words in the text will likely be misunderstood if they are subjected to centuries of uninspired interpretation. In other words, to be “translated correctly” the Bible must be “transmitted correctly” and “interpreted correctly.” This use of the word “translation” to include transmission and interpretation is consistent with the way Joseph Smith used the term in his “translation” of the Bible which was not an attempt to change the language from English but the inspired effort to restore lost texts and clarify existing texts to help the Bible be understood more plainly. The solution to this problem of Bible tampering was also shown to Nephi in vision. He witnessed the coming forth of the Book of Mormon and “other books” of scripture in the latter-days that would serve three important purposes. First, they would “establish the truth” of the Bible by confirming and correctly interpreting the truths that it already contains. Second, they would restore or “make known the plain and precious things which have been taken away” from the Bible. And third, these additional scriptures of the Restoration would join with the Bible in testifying that Jesus Christ “is the Son of the Eternal Father, and the Savior of the World” (1 Nephi 13:39-40). Again, the case of Luke 22 illustrates exactly what Nephi described. In the Book of Mormon and Doctrine & Covenants we find statements that confirm, interpret, and (if it were necessary) restore the truths Luke recorded about Gethsemane. These verses provide an additional modern witness of the Atonement of Jesus Christ. For example, the Nephite prophet King Benjamin taught that Christ would “suffer temptations, and pain of body, hunger, thirst, and fatigue, even more than man can suffer, except it be unto death; for behold, blood cometh from every pore, so great shall be his anguish for the wickedness and the abominations of his people” (Mosiah 3:7 emphasis added). Perhaps the greatest scripture we have on the subject though comes from the Lord Jesus Christ himself who intimately explained what he experienced for us in Gethsemane. He revealed to Joseph Smith that “I, God, have suffered these things for all, that they might not suffer if they would repent; But if they would not repent they must suffer even as I; Which suffering caused myself, even God, the greatest of all, to tremble because of pain, and to bleed at every pore, and to suffer both body and spirit—and would that I might not drink the bitter cup, and shrink— Nevertheless, glory be to the Father, and I partook and finished my preparations unto the children of men” (D&C 19:18-19). These verses make it clear that Christ began his atoning sacrifice in Gethsemane and that his suffering caused him to literally sweat blood. As latter-day Saints, we do not need to question the authenticity or interpretation of the passage in Luke because it has been confirmed to us by modern revelation—Christ himself explained it to us. Truly, these are things we know independent of any other person or church, for they are not beliefs we share in common with other Christian churches. We know them because Jesus Christ revealed and restored them through the prophet Joseph Smith. May we forever be grateful for what has revealed in our day and share it with all who desire to know more about the Atonement of Jesus Christ. Thank you for this insightful article. I have tried to research this topic on the internet without the aid of scholars such as those you have included and have found very little. I knew that with patience the answer would come. Again, you have my gratitude. Too many Mormons believe that the atonement happened in Gethsemane. While this article correctly points out that the atonement began in Gethsemane, it still succumbs to the notion that it was completed on the cross with Christ's death. This is not true. Atonement is a made-up word in English. It comes from at-one-moment and refers to moment of "reconciliation of God and humankind through Jesus Christ". That moment will occur after our resurrection and final judgment. We will then receive our final reward based upon the merits of Jesus Christ and not our own feeble efforts.